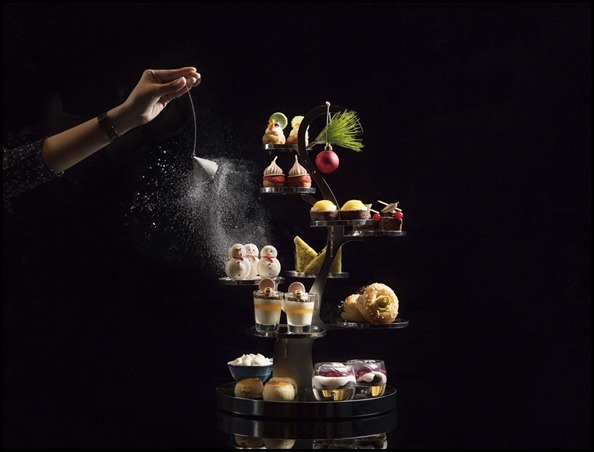 Relish in an afternoon tête-à-tête with your loved ones at Chef’s Table over handcrafted savoury and sweet festive creations, paired with exquisite tea selections. Highlights include Foie Gras Terrine with Cherry Purée, Candied Walnut and Gingerbread Crumble, Mont Blanc Cheescake, Almond Mazipan Stollen and more. Look forward to a symphony of sweet and savoury delights including Eggnog Crème Brûlée Tart, Araguani Raspberry Crunchy Gateau, Chendol Entremet and Duck Rillette with Herb Crostini. Specially for the holiday season, enjoy these petite treats with Pistachio Cranberry or Classic Scones. Complement the experience with gourmet coffee and tea or a glass of Laurent-Perrier Champagne. When : 1 December to 26 December 2017 from 2:30pm to 5:30pm daily. Last order is at 5:00pm. An 8-course afternoon tea set menu greets you on weekdays and on weekends it is buffet style. 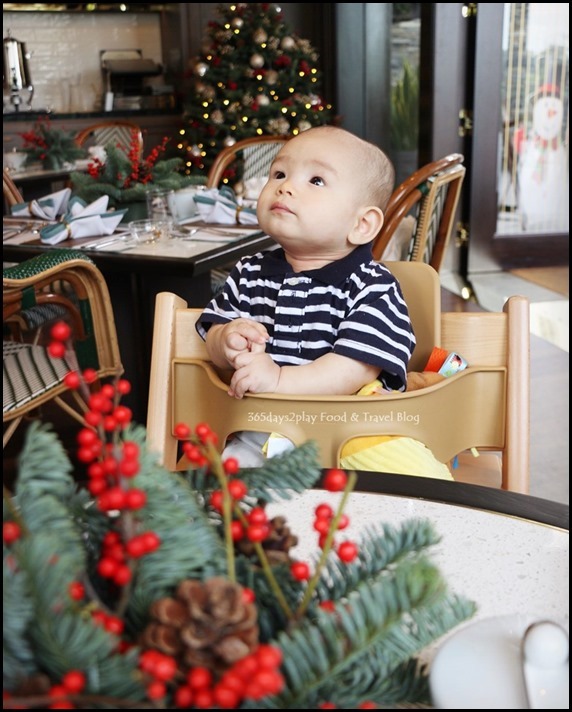 Indulge in Christmas specials such as maple-glazed bacon wrapped turkey ballotine, black forest ham and salted caramel chocolate log cake. A Christmas Festive trolley with traditional christmas treats will also be available. 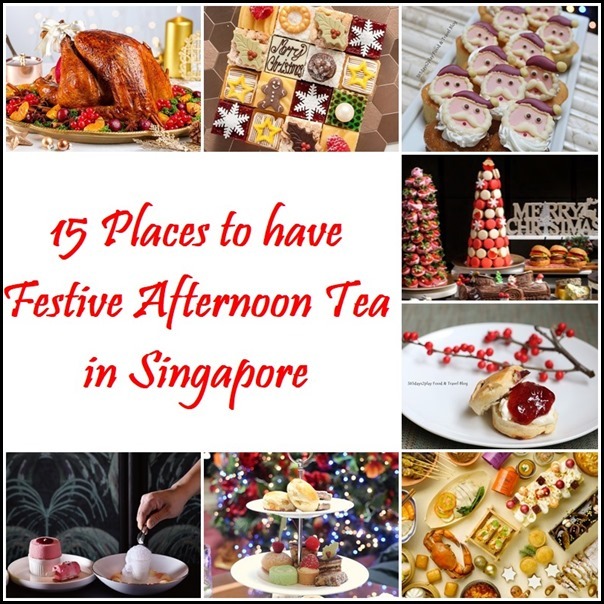 On weekdays, enjoy afternoon tea sets featuring savoury petite sandwiches, mini bagels with roasted turkey and sweet treats of traditional fruit cake, mini snowman macaron, mini Christmas logcake and locally-farmed goat’s milk pannacotta. 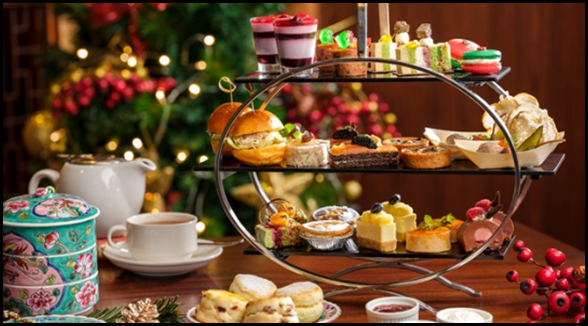 For the weekend high tea buffet, enjoy unlimited selections of fresh seafood, “live” stations of roast turkey, slow-cooked pork belly and freshly made crepes. Pair with Ronnefeldt tea. 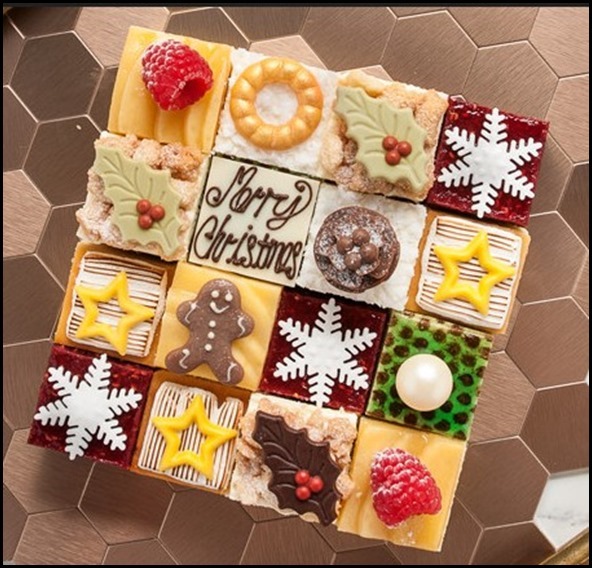 A Fairytale Christmas comes to Intercontinental Singapore with iconic festive treats such as the Pistachio Choux Tree, Christmas Fruit Cake, Lemon and Gingerbread Scones as well as Eggnog Chocolate Shooter. Be impressed with a 6 metre show case featuring patisserie items. The festive buffet includes numerous festive yule logs, christmas shooters and Christmas delights such as Christmas Pudding and Christmas Pralines. 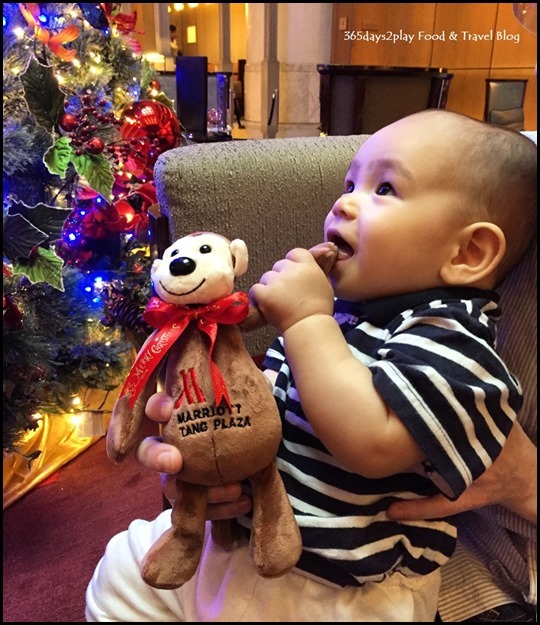 Enjoy together with savoury local dishes such as Hainanese Chicken Rice, Chilli Crab with Golden Mantou and Seafood Otah-Otah. 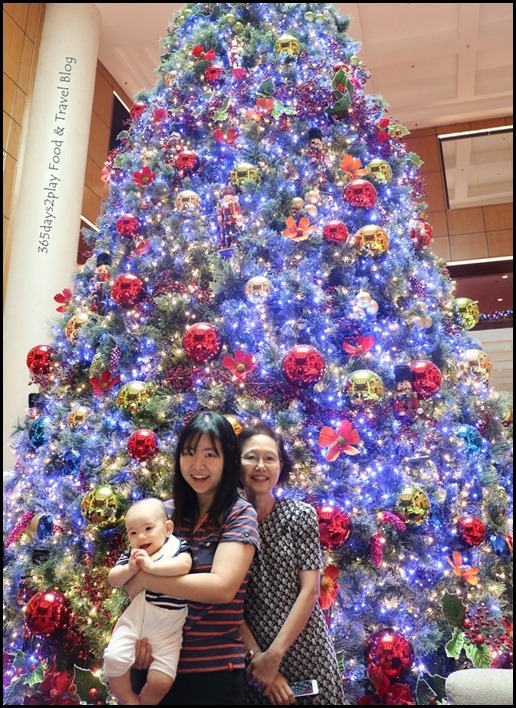 Cost : $41 (free flow coffee & TWG Teas) | $76 (free flow selected wines & beer) per pax. Citibank debit/credit card holders can pay 2, dine 3. It’s festive savouries at Axis Bar with Christmas ham on brown toast, turkey-foie gras roll and honey-glazed lobster bite. For desserts, it’ll be Cherry Noel St Honore cake and Manjari crunchy chocolate yule log. Revel over dainty finger sandwiches and delicate pastries. 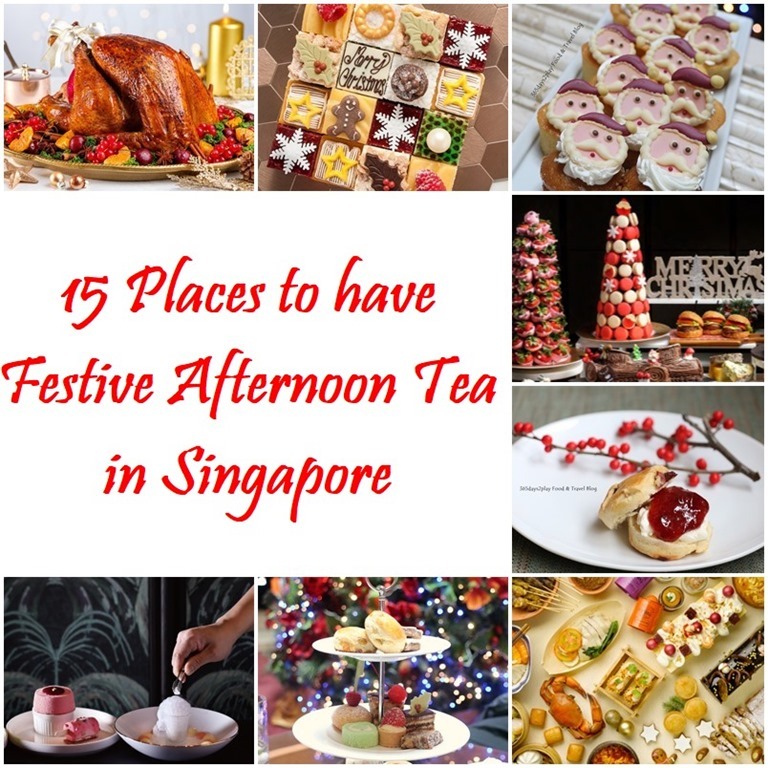 There will be festive hot beverages as well as a magical dessert to take home! 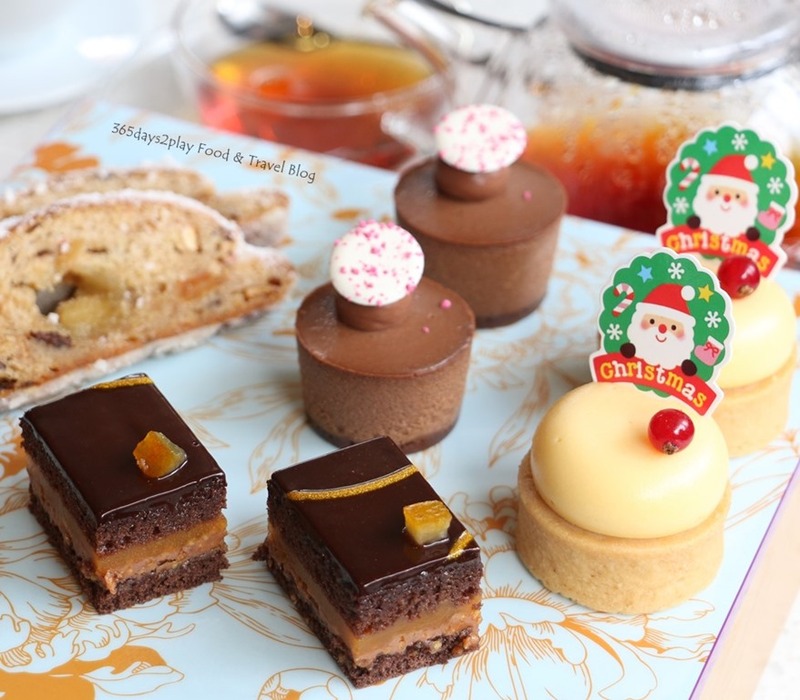 Dear Santa, I wish to attend more afternoon tea sessions!